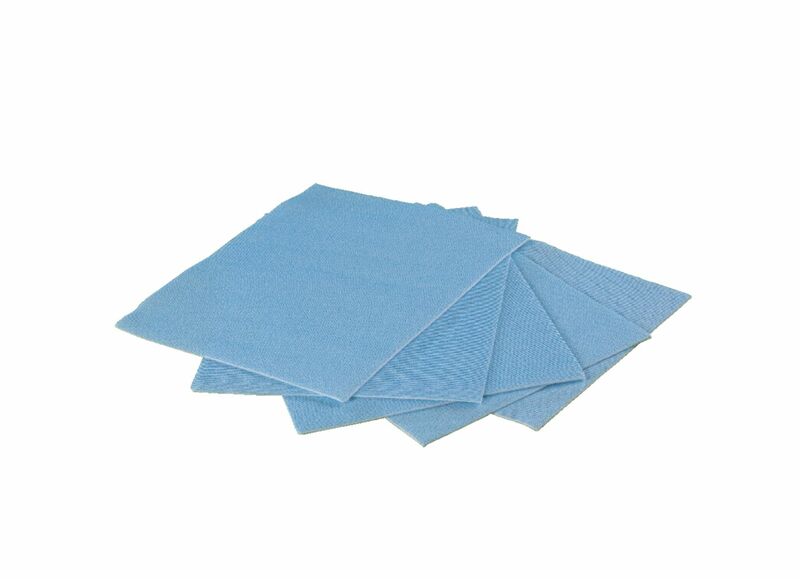 Durable, tear-resistant pads are manufactured with a bonded chemical that helps to minimize exposure to formaldehyde vapors. They are also useful for lining shelves or transport containers where leakage may occur. The distinctive blue surface of the pads offers an excellent contrast to even small-tissue specimens.